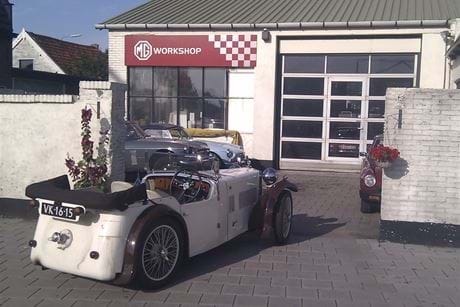 Welcome to the MG Workshop! 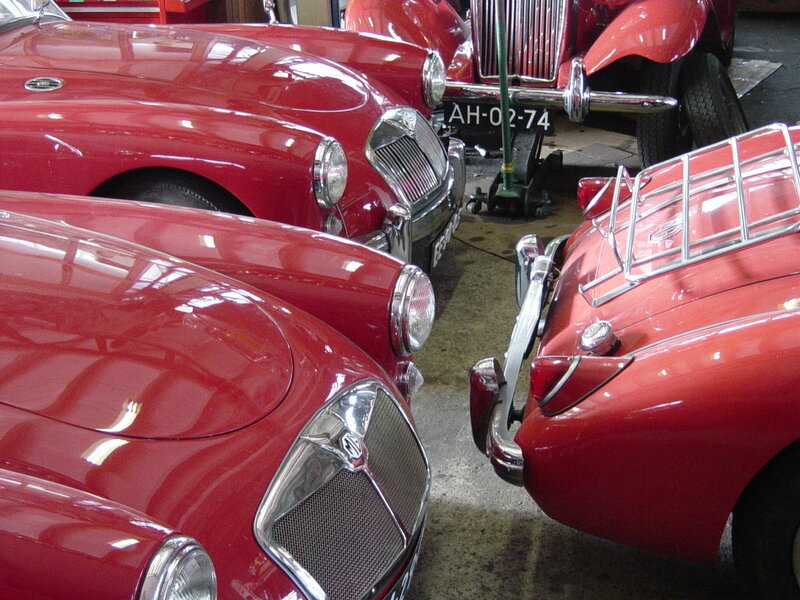 Welcome to the MG Workshop’s website! This virtual version of our company has been designed to tell you a little bit more about our garage where we cater solely for M.G.s. 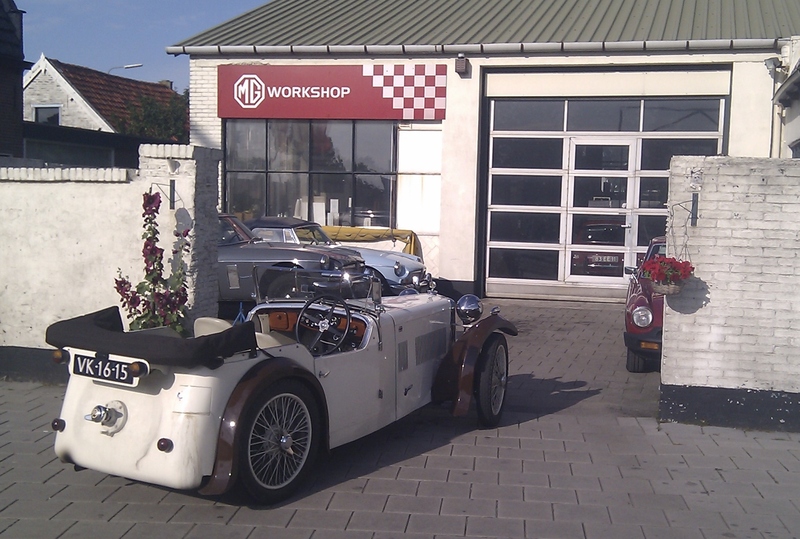 At the MG Workshop we have a deep-rooted love for the marque: back in 1972 Bart Spoelstra founded his business in a small dead end street in the centre of The Hague, the Blekerslaan. After 24 years of flying solo, Thijs de Groot joined him in 1996, guaranteeing a future for the firm. The next 17 years saw a close relationship develop between the two engineers allowing for plenty of opportunity both to pass on and to exchange knowledge. All the additional tasks of a non-technical nature that running a business calls for are being taken care of by Cathelijne, Bart’s younger daughter. Despite Bart’s untimely death in December 2013, denoting the end of an era, Thijs and Cathelijne keep on running the business, which relocated to Monster in 2007, with great enthusiasm. 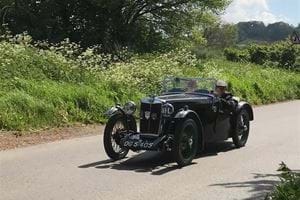 Apart from informing you elaborately on business related items such as what we do and how we go about it, this website has also been designed to enable us to share photographs of the events we enter or attend together with our customers or sometimes organise ourselves. 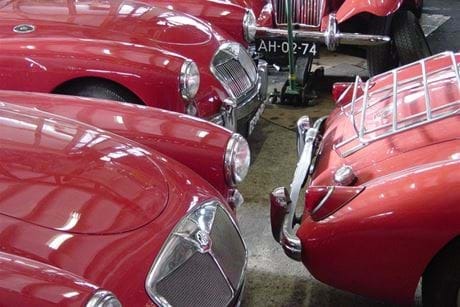 ‘My MG Workshop’ provides existing customers with a digital archive where we store invoices, photographs of jobs done and list possible recommendations of jobs still to be done. Login details will be automatically emailed as soon as an invoice gets uploaded. The notice board will keep you informed on all the latest news relating to our garage and last but not least, whomever would like to read up on our past (going back 45 years) can do so in the History section.